Pericles is an Irish Draught gelding, possibly the mightiest war horse in the stables at the moment (although Nuevo may soon take his place!) He is fearless, and enjoys nothing more than the heat of battle or the thrill of a joust! Despite his formidable size and thundering hooves, Pericles is extremely agile, and has been known to canter pirouette around the end of the list ahead of the next course, and will levade impressively before his rider gives him the signal to go. 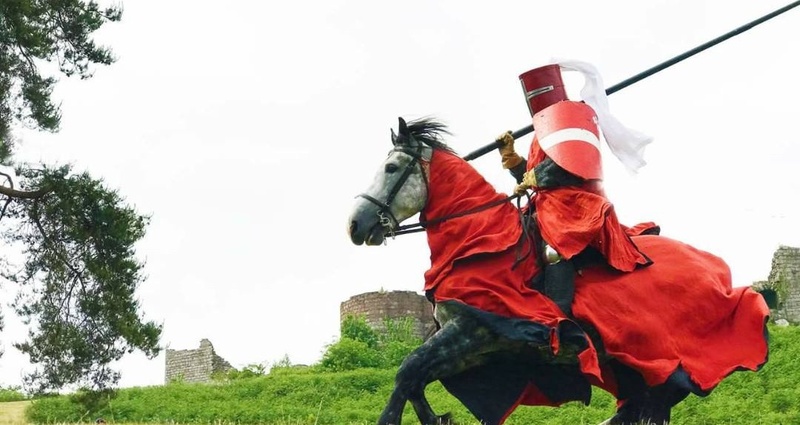 Despite his astounding agility in modern day tournaments, he will not be appearing at Bolsover Castle in classical performances to showcase airs above the ground.